Description: A free customizable clothing store plan template is provided to download and print. Quickly get a head-start when creating your own building plan. 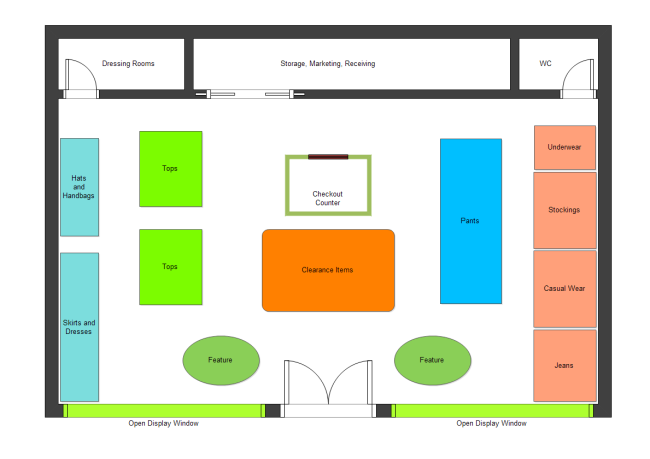 Clothing store owners and designers can use this template to plan cozy, organized and catchy store layout to attract more buyers.